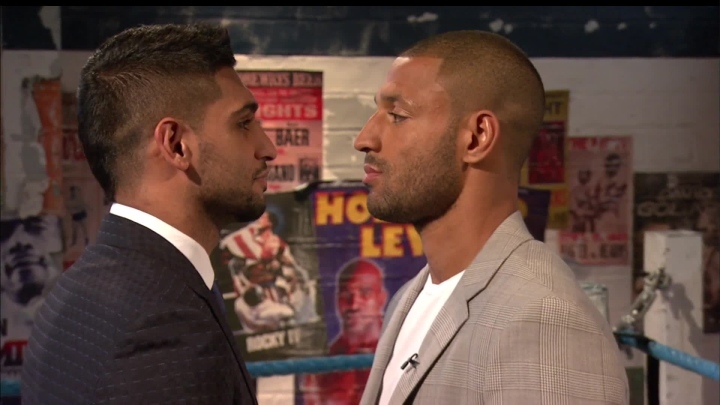 Eddie Hearn, who promotes former champions Amir Khan (32-3, 20 KOs) and Kell Brook (37-2, 26 KOs), is really eager to match the two longtime domestic rivals. In the last few weeks, both boxers have seen action in the ring. Khan, who plans to continue his path as a welterweight, blew away Phil Lo Greco in 39 seconds earlier this month. Last month, Brook made his debut at the junior middleweight limit of 154-pounds, blitzed Sergey Rabchenko in two rounds. Khan had signed a three fight deal with Hearn earlier this year. Hearn plans to have both boxers return in separate bouts in the summer and then attempt to match the two of them at the end of the year. Kell Brook: I Would DESTROY Errol Spence in a Rematch! Wilder Warns Joshua: It’s All About Heart – Not Muscles or Weight!